Take it from the Saxons, get out your favorite cake or pastry recipe, preheat the oven and off you go. If you are not much of a home baker, there are plenty of stores offering seasonal specialties from Germany. Then, set out your best china and invite some friends over for an afternoon of coffee, cookies and cake. Other specialties include heart potato dishes with loads of vegetables. 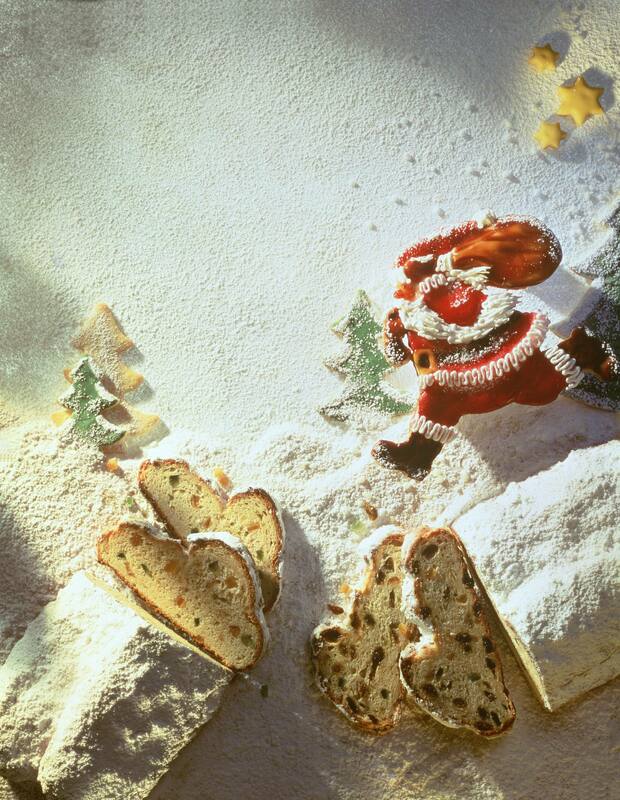 Stollen is a rich, sweet cake filled with fruits and nuts, and Stollen from Dresden are particularly well-known. A masterpiece of baking, treasured around the world. Egg custard cake with a pie crust, vanilla quark layer, and egg-flavored top layer. A staple at Dresden cafés, pairs deliciously with coffee. Creamy potato soup with succulent shrimp make a perfect meal. This carrot cake was “invented” in Leipzig a hundred years ago by a resourceful baker, securing the city a reputation for creativity and putting its cafés and bakeries in perpetual competition. By the end of the 19th Century, the songbird population in Saxony had so decreased that the shooting of songbirds was banned. A resourceful baker from Leipzig had the idea to offer small cakes shaped as birds, launching the Leipzig larks into fame. This is the original recipe for Leipzig’s famous vegetable hodgepodge. As this recipe requires some elaborate preparation, only a handful the traditional restaurants in the city of Leipzig still offer the traditional version. Modern recipes often offer a lighter version that omits the crayfish and cuts down on the butter. Potatoes in their jackets with quark is a traditional dish handed down for generations in families in Germany.